People hear the term REO, foreclosure, HUD Home and there is confusion about what they mean. When a homeowner gets into difficulty paying off their mortgage the lender in North Carolina has a right to take the property off the owner by the judicial process called Foreclosure. This can be quite a long process and during this time the property is ‘in the foreclosure process’. Once the judge declares that a property is foreclosed it is then sold ‘On the Courthouse Steps’. There is sometimes an opportunity to buy a property here but more often than not the lender, or a third party representing them, ‘buys’ the home back. At this stage the property is owned by the lender and is now ‘bank owned’, ‘lender owned’ or ‘Real Estate Owned’ or REO. HUD and VA foreclosed properties have gone through the same process it’s just that the lender was HUD or the VA.
Once the property is REO the lender is free to sell it to recoup at least some of their equity. Properties on this page are in that position. The sales process is similar to any other home. There are normally lender addenda in addition to the regular offer documents. Some lenders are using online auction sites, it is still wise to be represented by a real estate professional during that process. 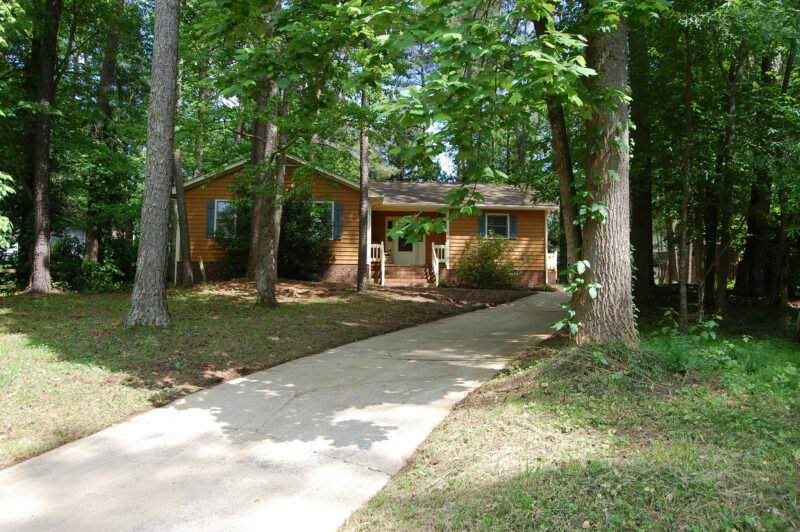 REO, HUD, VA, Foreclosed Homes for Sale Throughout the Triangle.